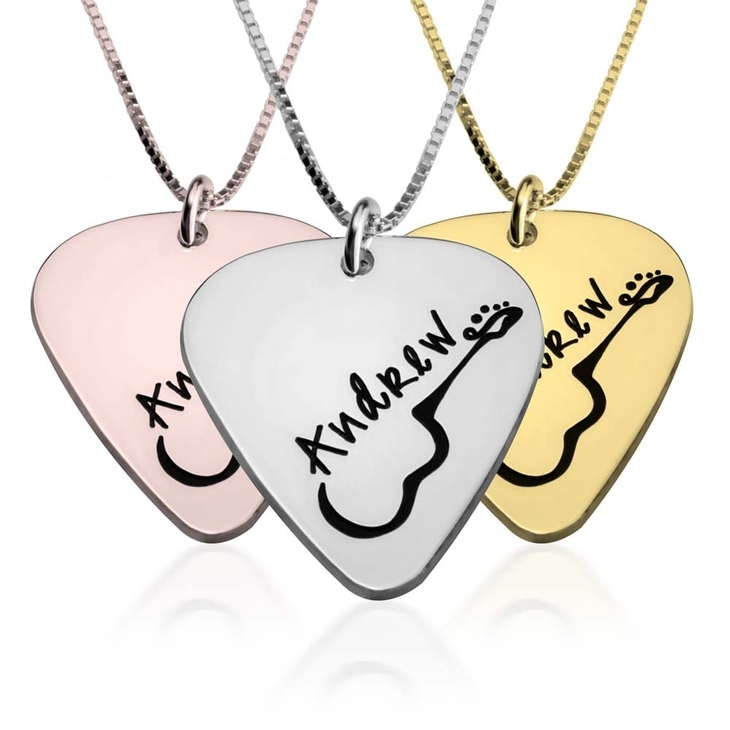 Express your musical self with your very own customised Guitar Pick Necklace. 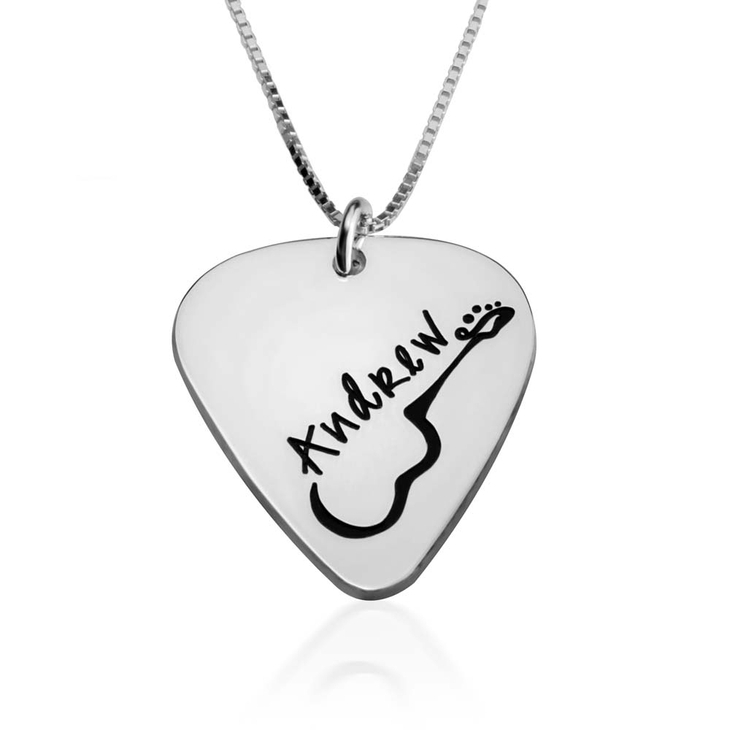 A totally one-of-a-kind pendant design, crafted from the finest sterling silver in the shape of a guitar pick. Available as well in 24K gold and rose gold plating, you can engrave your name today on this exquisite and unique piece of jewellery you'll want to wear over and over again. Whether this is a special treat for yourself or a great gift idea for a music lover in your life, what could be a better way to show your love? Order Now! 22mm x 25.5mm / 0.9" x 1.0"